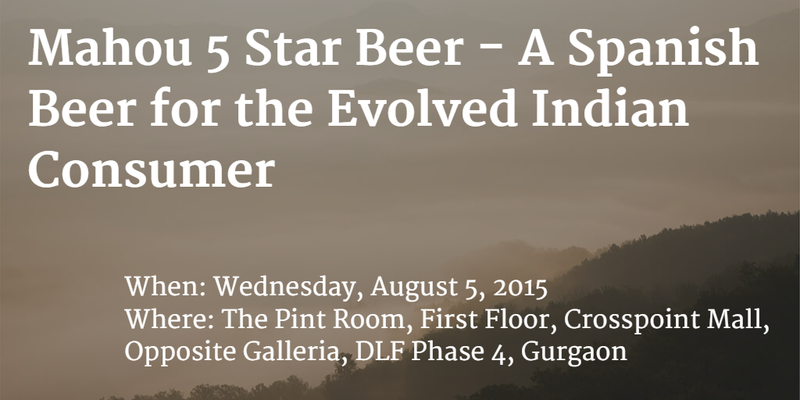 A beer tasting session right in the middle of the week? You've got to be seriously kidding me. But wait ... this wasn't just any other beer tasting session. Spanish brewing major, Mahou San Miguel, has launched its flagship beer Mahou 5 Star in Delhi a few days ago, and in true Spanish style and tradition, they extended a warm invitation to me, along with a section of media personnel, to attend this event on August 5 at The Pint Room, Gurgaon. 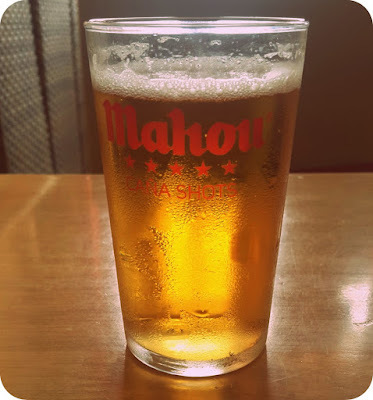 Through this post, I'll describe my review of the Mahou 5 Star Beer - Europe's Number 1 Beer Brand. 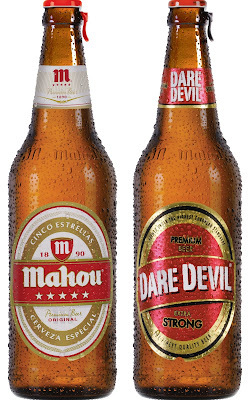 Mahou San Miguel is a 100% Spanish company. 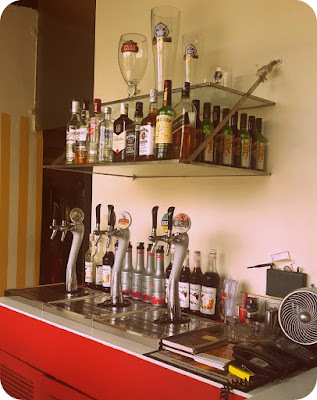 As a matter of fact, they are the sector leader in Spain with a production share of 35.5% and have eight brewing facilities (seven in Spain alone and one in Bhiwadi, India, the company's first fully owned subsidiary outside of Spain). The firm's history dates back to the year 1890. With nearly 125 years of unflinching supremacy and over 2700 professional workforce spanned across the world, Mahou is truly a brand to reckon with. Internationalization is one of the strategic cornerstones for Mahou's business, since they produce more than 75% of Spanish beer consumed worldwide and have a global footprint in over 60 countries. Produced with the finest varieties of hops and yeast, Mahou 5 Star stands out for its golden color but more significantly for its distinctively mild and lingering taste. Before the tasting, we were told that this well balanced beer is made with signature yeast, whose secret recipe is stored under high security in the beer's originating country, Spain. 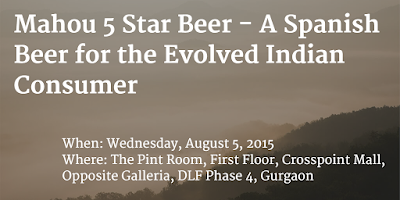 Mahou 5 Star is now available in Delhi, with distribution expanding on to nine different states across India. 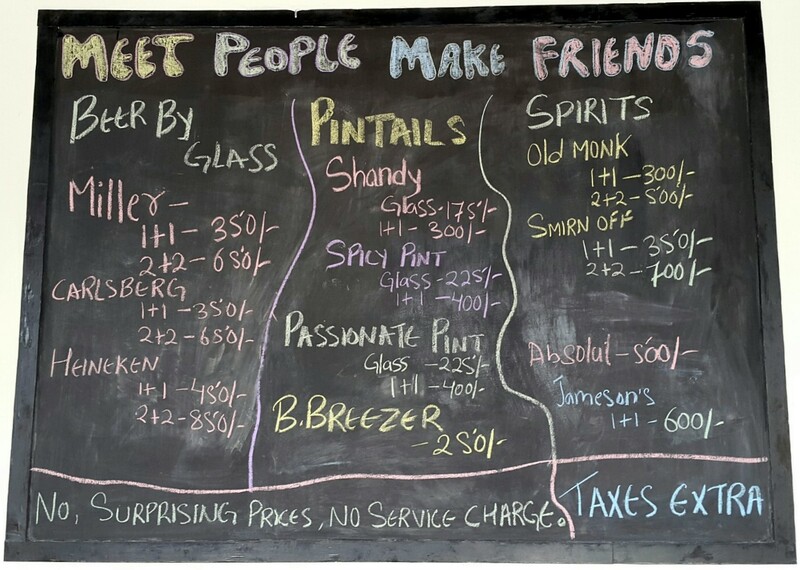 Catering to a premium segment of the beer market, Mahou is trying to woo the 'evolved Indian consumer' who appreciates taste beyond anything else. 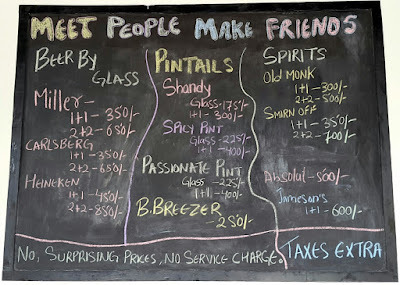 You simply cannot take your eyes off the thick cream that envelops the glass when this beer is poured. Marked by notes of toasted barley and memories of starch, Mahou 5 star is also known for its unique way of serving beer in Caña, a small glass with a little less than a half pint of beer. 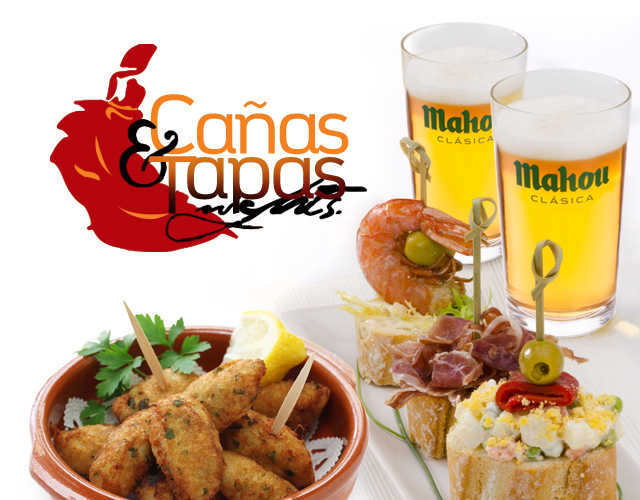 Since drinking in Spain is mostly about two things - fun and football - it is usually complimented with food like Tapas, a variety of appetizers in the Spanish cuisine. At the tasting session, we were also introduced to Dare Devil, an extra strong beer in the semi-premium category brewed in India for Indians only. 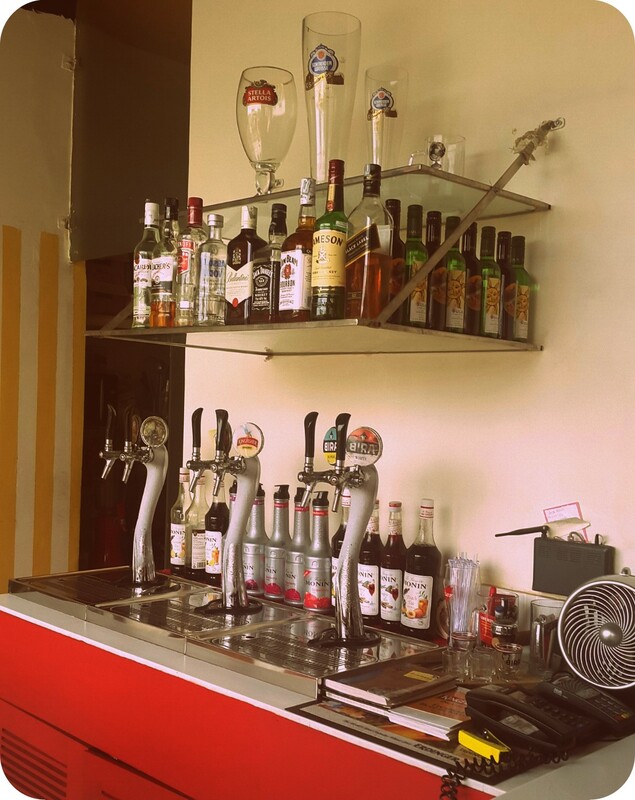 [PS] Both Mahou 5 Star and Dare Devil are being brewed in Bhiwadi, Rajasthan. Mahou San Miguel is the first Spanish company to operate in this region with its own brewery. A 650 ml bottle of Mahou 5 Star is priced at INR 150 for the Indian market. 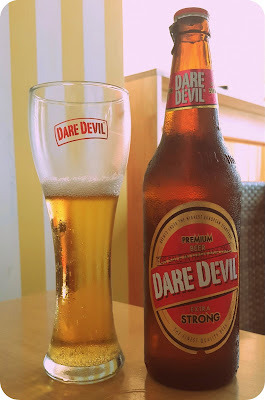 On the other hand, a 650 ml bottle of Dare Devil is priced at INR 110. Isn't that great! Mahou is associated with professional football clubs in Spain like the Real Madrid and Atletico De Madrid. 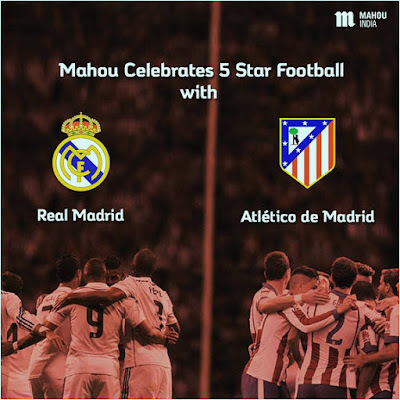 In India, Mahou sponsored the first '5-A-Side Football Corporate League' in the Delhi NCR corporate circle, providing a great platform to showcase footballing talent. The winners were flown to Madrid, Spain, to watch a live football match. Mahou is now planning to host a 'Dare to Win Challenge', which is a series of fun acts that challenge your inner strength and brings out the Dare Devil in you! So what are you waiting for? Enjoy the 5 star taste crafted to the highest standards. Enjoy the pride of Madrid.